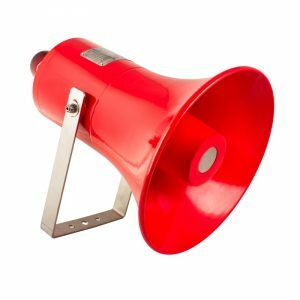 Ex Sounder/Beacons carry ATEX: II 2G Ex d IIC T4 – T6 (Incorporating IIA & IIB) approval for use in potentially explosive atmospheres, hazardous areas and very harsh environmental conditions. Customers can choose between the two options available: GRP (Glass Reinforced Plastic) and Stainless Steel. 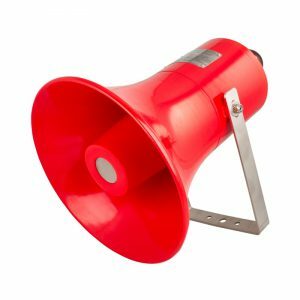 Both sounder/beacons incorporate a four stage alarm option with sixty three tones to choose from which includes four tones that can be records or customised by the installer as well as the ability to be fitted with a telephone initiation function. 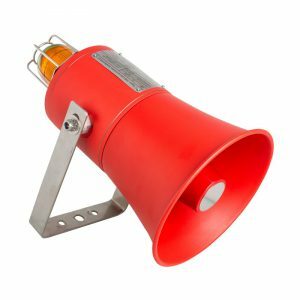 The full range of Ex Sounder/Beacons including product specifications can be viewed below. 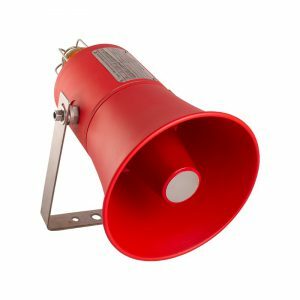 APPLICATION: The Ex Sounder/Beacon range is suitable for applications in the following environments: Oil and Gas, On-shore and Offshore, Chemical, Petrochemical, Refineries & Marine locations.